I'm needing to start from scratch. So used to being able to pick a garden posy - but in the new garden I have to work again at getting flowers going. Hi Diana, how exciting, yet scary, to have a whole new garden to play with. Leaving the garden stripped is harsh. I can't bear to pick even a posy! The blog you are thinking of is The Good Life, by Jo. I bought a plant in bloom every month last year following her lead and it was no hardship! 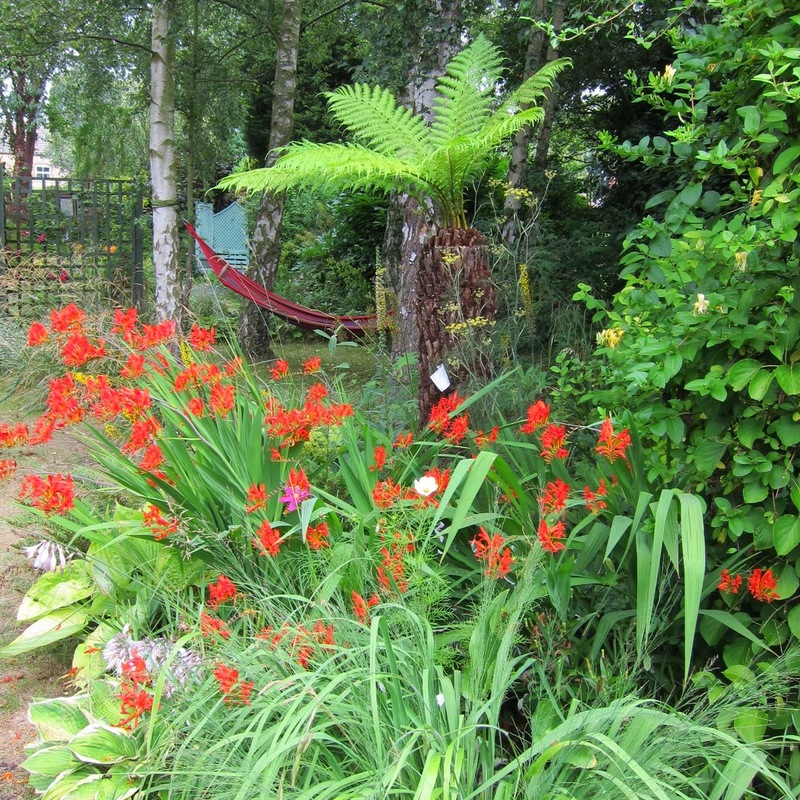 It does make you think more about creating a garden that looks good in all seasons. Hamamelis do take a while to establish, my existing plants don't look a patch on the newest acquisition so I just hope they improve as they settle in. And can you ever have enough hellebores? Hi Jessica, thanks for that, I will add a link to Jo, but hers was 2013 and there is someone else doing it currently. It would make a good meme, as it would be fascinating to see what choices people made. These new hellebores are a total revelation to me ! Hi Christina, it is such a pleasure to contemplate that monthly purchase and do research prior to that. I don't think you can go wrong with hellebores - I was just amazed by the new varieties which look you squarely in the eye. I think I would have picked the hellebores too, Jane! They're lovely, and at those prices how could anyone resist? I look forward to seeing your selections over the months. Hi Amy, I thought they were an absolute bargain ! I shall have to start saving for a hamamelis. This would make a great meme. I don' t think a month goes by without a visit to a nursey for me; but it would be great to see what other people buy month by month. I love your hellebores and what amazingly good prices. I haven' t seen any so cheap round here. Hi Chloris, it would make a great meme - if only I had the slightest clue how to set one up!! It would be fascinating to see what everyone bought each month! Was it Jo's blog The Good Life where you read about this? You got a bargain. Just watch out for slugs when new young shoots and buds are produced next year as the devils have killed one of my Christmas roses and devastated the other. Hi Sue. I have read about Geoff Hamilton's idea on a couple of blogs over the last few weeks and I think one of them was Jo's blog, so I shall put a link in my post. Funnily enough our slugs have not yet developed a taste for hellebores, but I guess it is only a matter of time! That's a great suggestion to follow Jane, it made perfect sense. 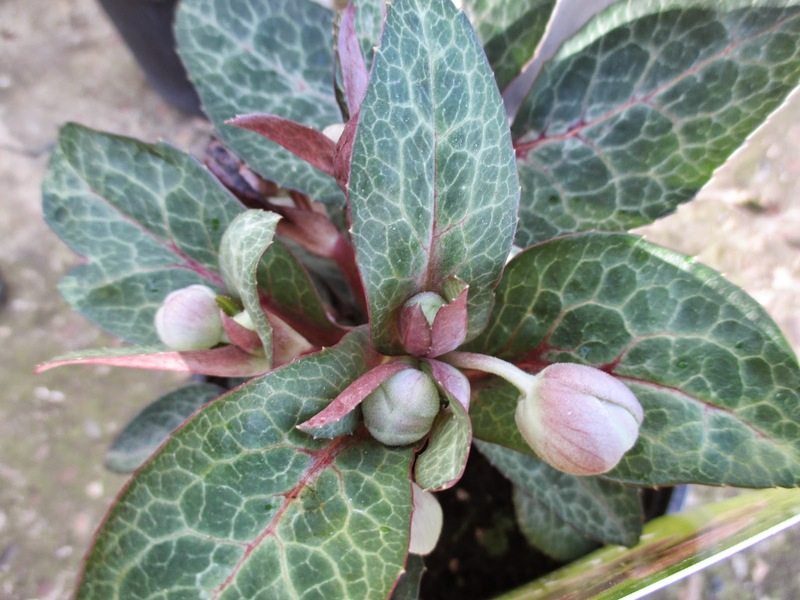 Plus those Hellebores have nice foliage too! Your three hellebores are beautiful. Both the foliage and the blooms are striking. Hi Alain, they are lovely plants, I was surprised at the changes in Hellebores from my inbred garden mutts ! these are thoroughbreds !! Great idea to visit the nursery to see what blooms each month. I am finding I have great gaps in blooms in my garden and this would be a nice way to solve that issue. Alas, here in the cold north there aren't even nurseries open this time of year. I used to volunteer at a public garden where they cut some blooms each week and placed them at the garden entrance to show people what was blooming. Always thought that was a great idea and good inspiration for home gardens. Hi Marguerite , what a fantastic idea to have cut flowers to highlight what was in bloom. I bet you get desperate withdrawal symptoms through the coldest months, if you can't even visit a nursery! I think many of us would love an excuse to visit a nursery or garden centre more often! I think most plants that hang their heads down do it to protect the pollen from the torrential rain we usually have when they are flowering. Will the pollen be washed away if the heads are looking straight at us, will there be any pollen left for the bees which do come out in mild spells in Jan/Feb? Hi Pauline, that is interesting, I didn't realise that was the reason for the downturned head, but it makes perfect sense now you come to mention it . I shall watch to see if the pollen is still there for the bees . I also hope it stays as I hope to some hand-pollination with them later in the season. Hooray for new Hellebores! You got some lovely ones, Jane! This is something that I can't grow here. The practice of buying plants as Geoff Hamilton recommends is one I follow and particularly when I first started out gardening. Although I can't remember where I read it back then but for a newbie, it's very helpful. Nice new plants Jane and I will look forward to see what you purchase throughout the year. I'm pleased to see that you're doing the same as I did in 2013 and buying a plant in flower each month. 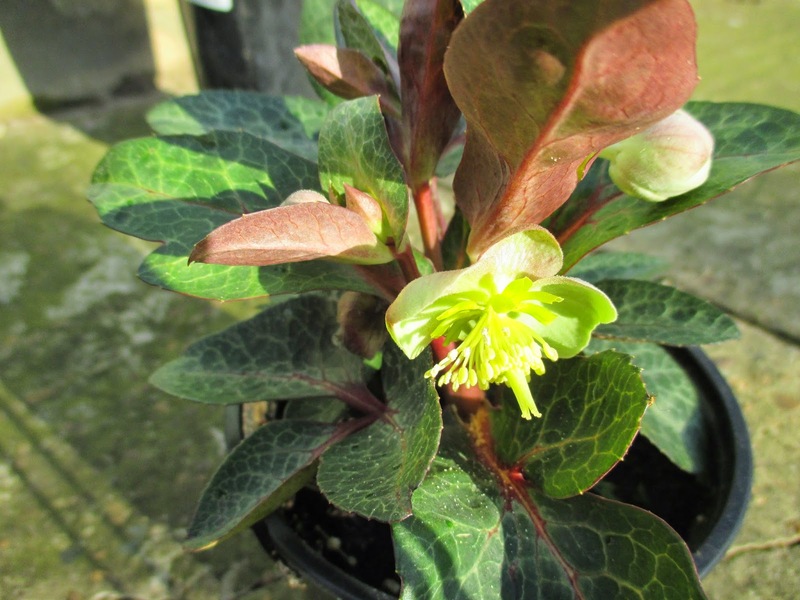 Hellebore was my choice for December, I wonder if any of your other choices will be the same as mine. It's quite tricky at this time of year, and then at the back end of the year again. Not all my plants survived, I shall be doing an update post on each one month by month this year. Hi Jo, I have updated this post and added a link through to your blog. I shall look forward to your update posts to see how all those choices have fared. It is fantastic chance to try something new, as I have made a little vow that I will but something I have never bought before. Lovely variety of Hellebores you bought Jane. 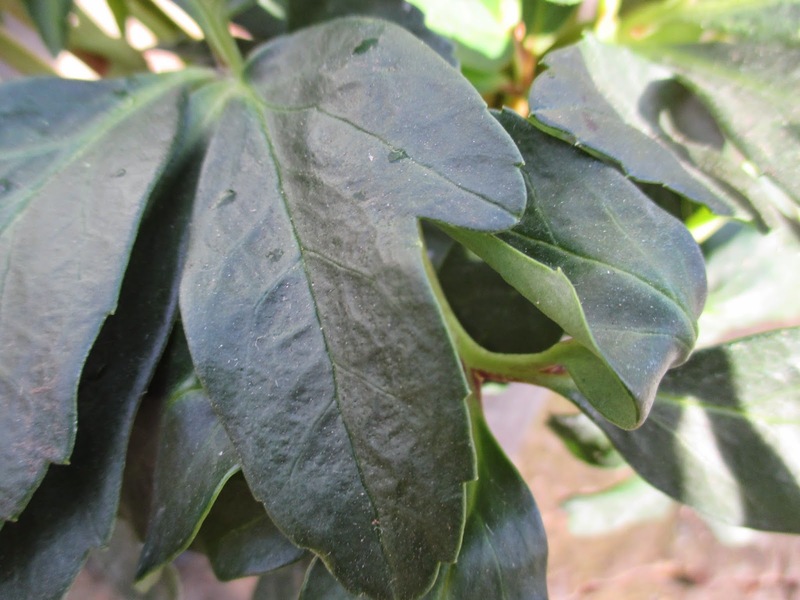 Wonderful foliage and two of them are flowering already from Oct./Nov......that's what I also want. I go for the Christmas Carol, when I can find it here. Hi Janneke, I was surprised how early they flower - my existing ones always flower much later. Hope you find Christmas Carol! 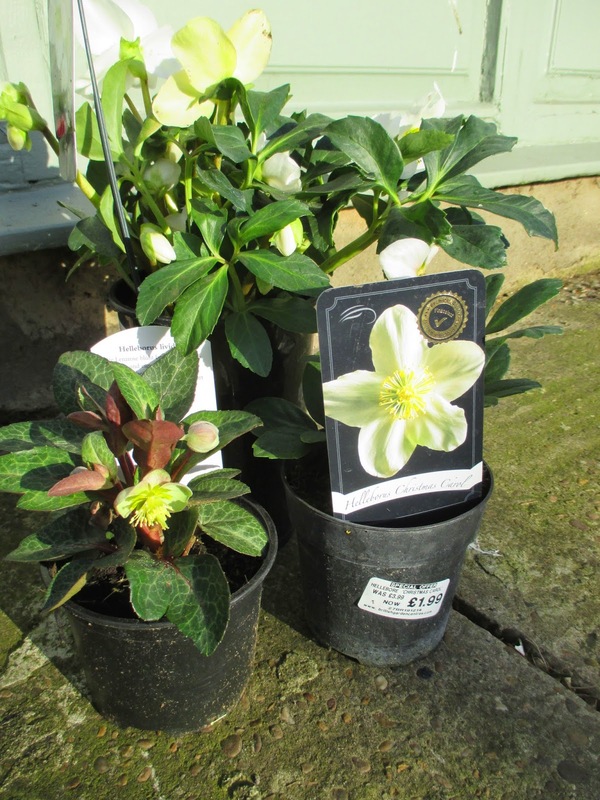 Hi Jane, your choice of hellebores is excellent, really lovely. 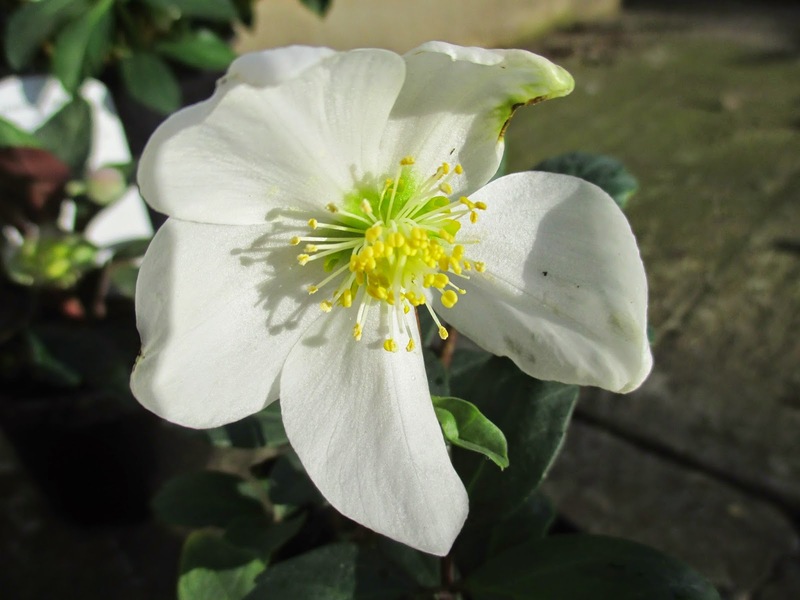 The reason why they don’t look like the ones you already have in your garden is probably that those you have might be Helleborus hybridus and these are different. ‘Christmas Carol’ and ‘Joel’ are Helleborus niger, I am not sure about ‘Rose Green’ but I guess it is a Helleborus niger too. 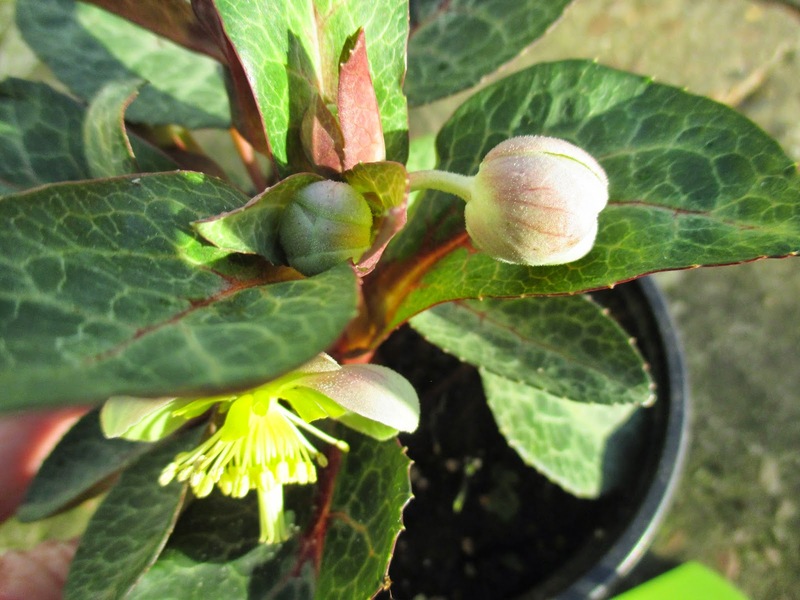 They flower earlier than Helleborus hybridus and have, as you have spotted, more upright flowers. Lovely collection! Hi Helene, this is why my mission of buying a new plant in flower every month is so useful - I am learning already! I must admit I have had little interest in Hellebores before, and have just lumped them all together ! All part of this great learning curve which is gardening! I usually buy on impulse and often buy because of a bargain price. I will often nurture plants back from the brink and love doing it. I don't buy many plants online apart from plug plants. I have the same problem as you with my many impulse buys - where to plant them !! 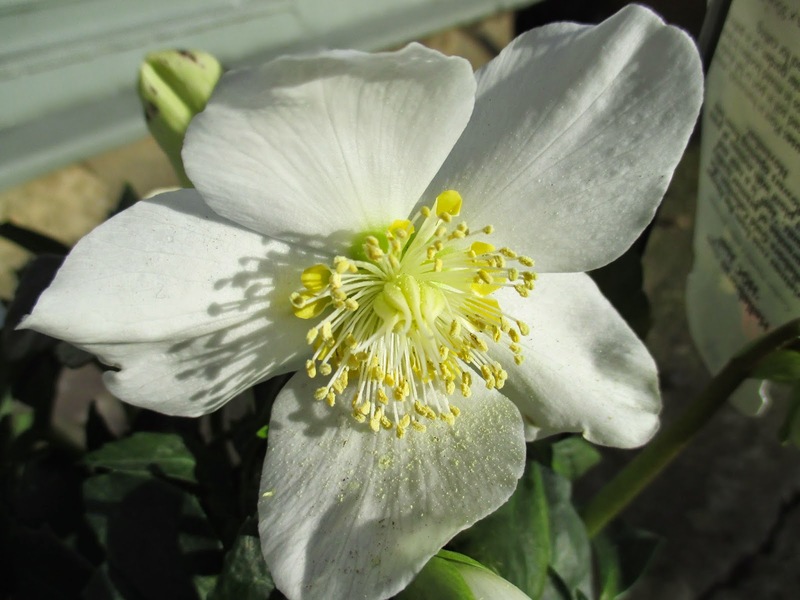 Hi Jane, love the Hellebores but although I can grow more or less any type of them I do struggle to get H.niger and its hybrids and varieties to establish in the open ground although my garden conditions should suit them. I will try them again but in containers as they are something special at this time of the year. Hi Rick, that is interesting, I think I may put all three in containers and see how they fare. Our one full service nursery closes down for the winter. It hurts to drive by and see the gate shut. Hellebores are very popular around here. Not a small amount of bragging goes on at garden club as to who has what blooming and when. Hi Susan, that closed gate must be so frustrating! Roll on spring! I am hoping to be able to join in with the bragging now I have some interesting, early varieties!! Buy a plant a month? The only hardship would be limiting it to one!! 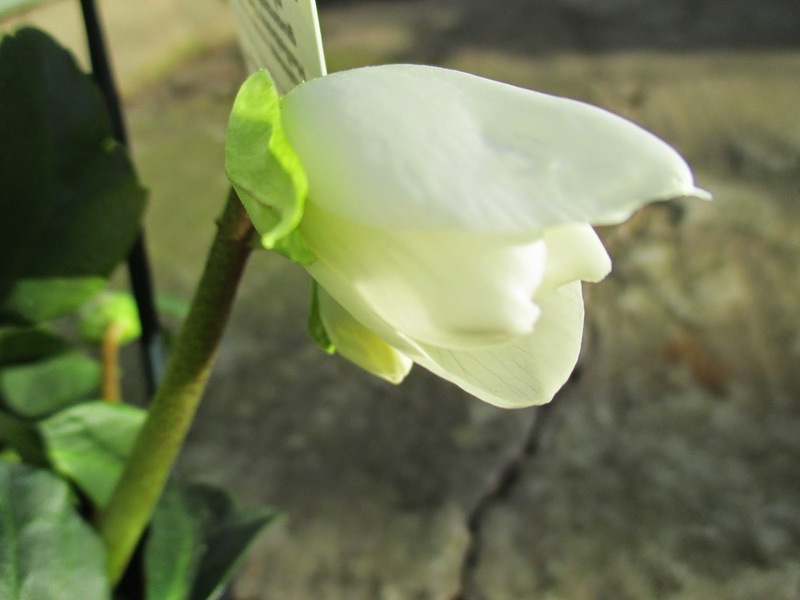 Your hellebores were fabulous value, so often they are really expensive, understandably given how tricky they are to breed. Great choice, I look forward to following your purchases through the year. Hi Janet, it won't be just one plant a month, as I could never stick to that! I will just buy one which is in flower and I have never bought before and then blog about it. i will ignore the other new acquisitions and pretend that they are nothing at all to do with me !